This article was originally published on the J. Crayton Pruitt Family Department of Biomedical Engineering website. For Aysegul Gunduz, assistant professor in the University of Florida’s J. Crayton Pruitt Family Department of Biomedical Engineering, forging new paths in the landscape of patient care is at the forefront of her research. Her research strategy involves studying neural correlates of behavior and disease, and aftereffects of stimulation in neural networks to improve deep brain stimulation therapy. The award recognizes a junior faculty member for high-quality research and significant positive impact on diversity. Gunduz and her team in the Brain Mapping Laboratory aim to translate neural biomarkers of disease into clinical diagnostic and therapeutic systems to improve the quality of life of those suffering from neurological disorders. Working with patients who undergo surgical treatment allows her team to capture the electrical wave patterns of the human brain, and the data are converted into a visual brain map. Gunduz and her team analyze the data to help patients with epilepsy, Tourette syndrome, Parkinson’s disease and essential tremor. Connecting with women is another important factor in her leadership role in the department. Gunduz is the current president of the Association for Academic Women (AAW) at the University of Florida and has been involved since 2012. 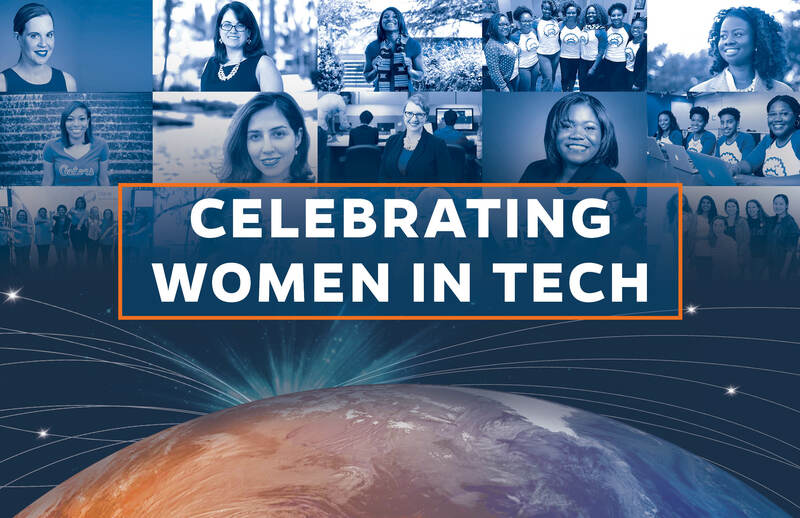 The University of Florida Department of Computer & Information Science & Engineering is a national leader in the number of women in our department. Aysegul Gunduz, Ph.D. was presented the Denice Denton Emerging Leader ABIE Award at the conference for her research and impact on diversity. 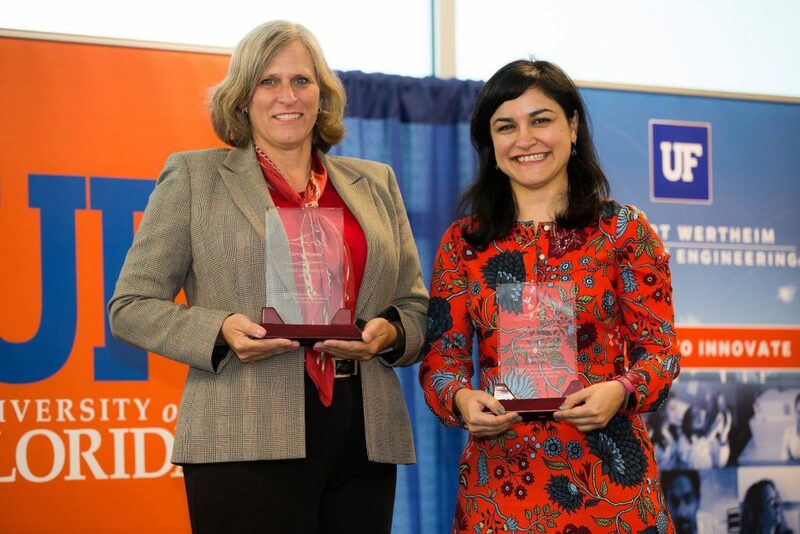 Terry Moore (left) and Aysegul Gunduz (right), both part of the American Association for Women, received the UF Provost’s Excellence Award for Assistant Professors, which recognizes research accomplishments by junior faculty members.